Health insurance options vary dramatically from one state to the next | Lewis & Ellis Inc. The ways in which the health insurance landscape has shifted in recent years cannot be overstated. Millions of Americans have been able to get coverage for what could be the first time in their lives, health insurers have radically shifted their approaches and plan offerings, and the regulatory landscape has changed a lot - and will likely continue to do so for some time to come. One thing that's important to keep in mind - for everyone from consumers to lawmakers and industry insiders - is that the national effects of health care and insurance reform are not being seen uniformly. For instance, there is sometimes great variation between the average quality of health insurance offerings from one state to the next, according to the latest Health Insurance Plan Ratings from the National Committee for Quality Assurance. On a scale of 1 to 5, only 10 states had health insurance options that rated at least a 4.5, the data showed. In descending order, those states were: Massachusetts, Rhode Island, Maine, Wisconsin, Minnesota, New Hampshire, Hawaii, Vermont, New York and Iowa. Of those states, only Hawaii and Iowa were not in the top 10 in each of the last three years, indicating both that it's hard to break into the elite group, and that some states are still able to make strides in their average coverage offerings. Of course, those ratings are based on a number of factors, and it should come as no surprise that, among consumers, the biggest driver of positive (or negative) ratings is the outcomes they get from their insurance and health care, the NCQA noted. While they may value everything from preventive care and the quality of treatment to which they have easy access, people tend to feel best about their health insurance when they feel good about their health overall. No two states have the same health insurance needs. 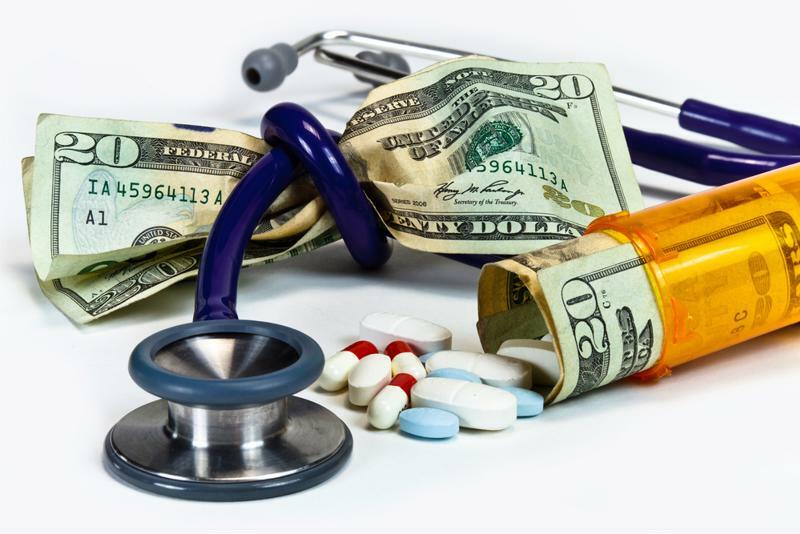 Meanwhile, the cost of health insurance coverage continues to rise across the country, but here too the distribution of premium changes from one year to the next can be significant, according to Health Payer Intelligence. A handful of states now report that for 2019, health insurers are actually lowering their asks for premiums on average, though the impact of those changes can range from relatively small (less than 1 percent in some cases) to massive (with drops well into the double digits). So far, states that think their average resident will see cheaper health insurance include Virginia, Maryland, and Oregon and a number of others - including Tennessee, New Hampshire, Pennsylvania, and New Jersey - report that premiums will likely rise at rates well below the national average, the report said. By and large, state officials say that these low or nonexistent cost increases are coming due to both increased regulatory efforts to keep markets from spinning out of control, and more competition among insurers coming into those markets. In many cases, those changes are coming within just a few years of states seeing cost increases well above national averages, leading regulators and lawmakers there to seek more aggressive solutions, the report said. That, in turn, may provide a blueprint for other states to address their own market issues and bring cost increases down - or reverse them entirely - going forward. "While other states are seeing the further collapse of their individual market, New Hampshire providers are anticipating a decrease in the cost of premiums," New Hampshire Gov. Chris Sununu said in announcing the Granite State's expected 6.75 percent premium cost decline for 2019, according to HPI. "This is a stark contrast to last year's premium increase of over 50 percent and is due to our commitment to working with the industry to drive down premiums and make necessary changes to deliver real savings for the people of our state." Likewise, in Maryland, the state is making significant changes to the individual market for the roughly 200,000 people there who buy coverage through the government exchanges. The collective impact those changes will have is expected to lower premiums for 2019 as well, according to The Washington Post. Specifically, this is a state reinsurance fund - which transfers risk away from insurers themselves - worth some $380 million, and should lower individual premiums by an average of 13.2 percent. This is the first time in many years major insurers will actually cut premiums in the state, the report said. However, it's worth noting that the fund will only last until 2020, meaning it is seen as a short-term patch to a bigger problem, even among regulators and lawmakers. In Montana, a similar reinsurance program is expected to cut premiums for its own individual market by somewhere between 10 percent and 20 percent over the same two-year period, according to a separate report from Health Payer Intelligence. Because of demographic differences, Montana's reinsurance program only required about $50 million in funding to get similarly sized reductions in coverage costs to Maryland, but the greater the size of the funding, the larger the declines in individual costs. For instance, a $100 million reinsurance program in the Treasure State would likely reduce premiums by more than 30 percent. Meanwhile, many states are only considering changes to individual markets because the Patient Protection and Affordable Care Act mandates the creation and maintenance of the exchanges, and some believe that could change in the near future, according to Kaiser Health News. The constitutionality of the ACA and its individual mandate has long been debated, and the regulators running for attorney general in many states nationwide may want to turn up the pressure on getting the law repealed. The political will in individual states to keep costs down and adhere to the ACA as an ongoing concern could have a major impact on markets - and consumer costs - in the years ahead as well, especially with midterm elections looming a little more than a month and a half away, the report said. The more insurers can do to help consumers understand what drives their premiums - either rising or falling - and what might be done to help them find coverage that works for them, the better off they are likely to be when it comes to keeping people happy with their coverage.